to actually run this entire course? As the race director, I can extoll the virtues of the DAYTONA 100 course until I am blue in the face. Talking, however, is not the same as actually running and experiencing a course first-hand. 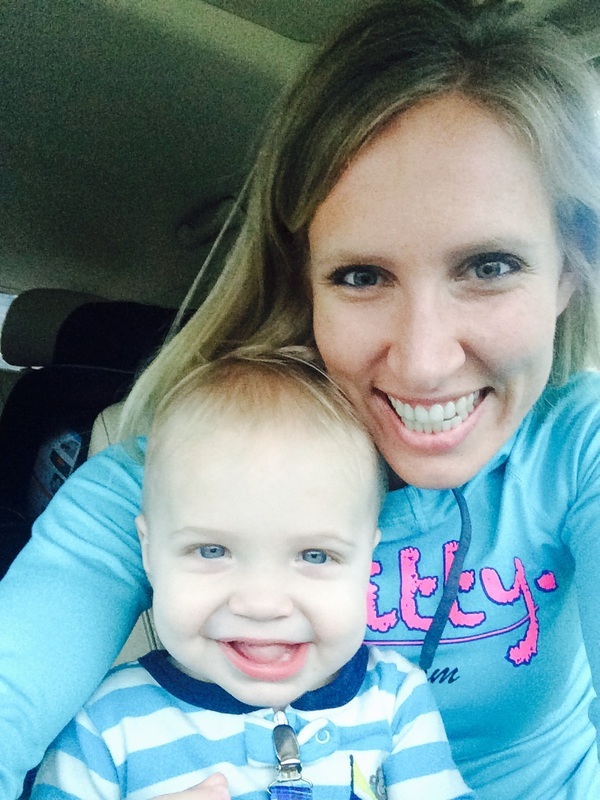 As you decide whether you want to sign up for this race, I want to provide you with as much information as possible. And I think one of the best sources of info you can have is from a runner who has actually completed the "race," and done so under similar conditions that we can expect on race day. So about 5 minutes after announcing the DAYTONA 100 to the world last Saturday, I laced up my shoes, and decided to run the whole course myself (with Alex and Witt helping, of course). We departed the LA Fitness parking lot in Atlantic Beach exactly at 6:00 am. 1. 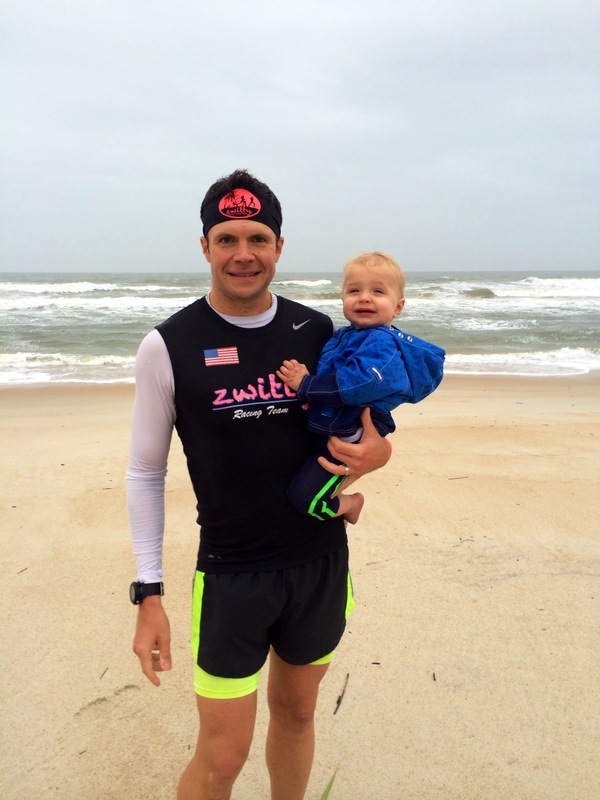 (Miles 1-12.6): atlantic beach to pv. To be completely honest, I was a little worried going into this "race." 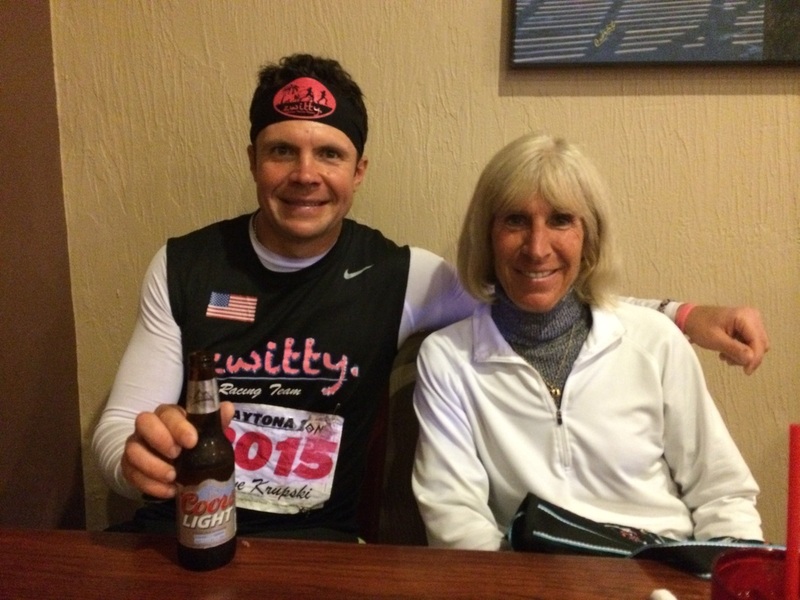 Two weekends prior, I ran -- and raced -- the Donna 110 Ultramarathon, here in Jacksonville, and ran 110 total miles in 16:54. (The race is split into two days: 84 miles on the first, and then a marathon on the second. I ran 13:26 for the first 84 miles, and then a 3:28 marathon the next morning.) So to say my legs were sore after that would be an understatement. 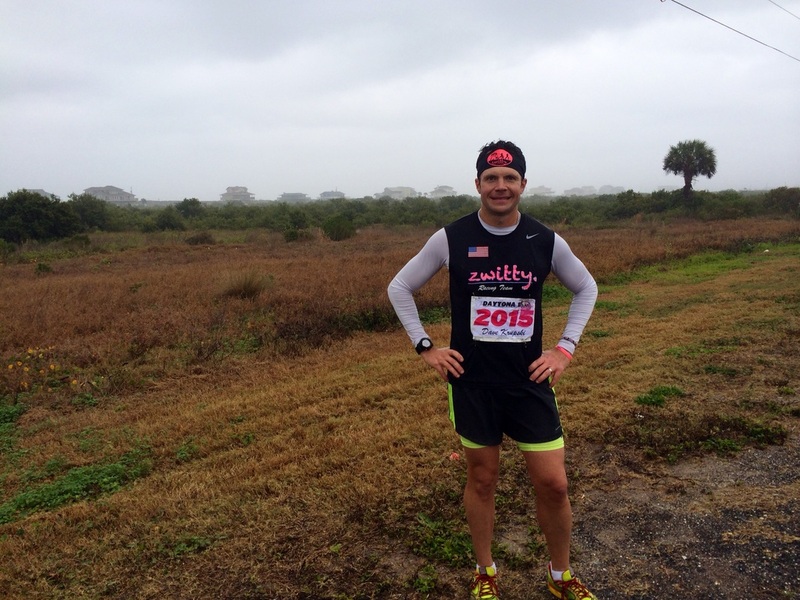 The following weekend, I was down in the Everglades to run my friend Bob Becker's awesome Everglades Ultras 50-miler, which I did in 7:43. To say my legs were sore after that would be a massive understatement. So by the time I started the DAYTONA 100, I had already raced 160 miles in the previous two weekends alone, plus training miles in-between. Yeah, I was nervous. But also excited. Like, very excited. Like, excited enough to say "like" like I am some Taylor Swift fan or something. (Which obviously I am). Anyway, at exactly 6:00 am, I started my journey, and ran the only full mile on the entire course that does not go "north/south." (The race starts one mile inland from the coast). When I reached First Street, my home for about the next five miles, Team Zwitty runner Bambi Pennycuff met up and would run about 8 miles with me. It was nice to have company so early in a run! Jacksonville-area runners are very familiar with First Street; it is a very popular area for runners and cyclists in the morning. But at 6am on a Saturday, we had the road completely to ourselves. (Expect similar conditions on race day). It is a very sleepy, quiet road, with virtually no vehicular traffic. 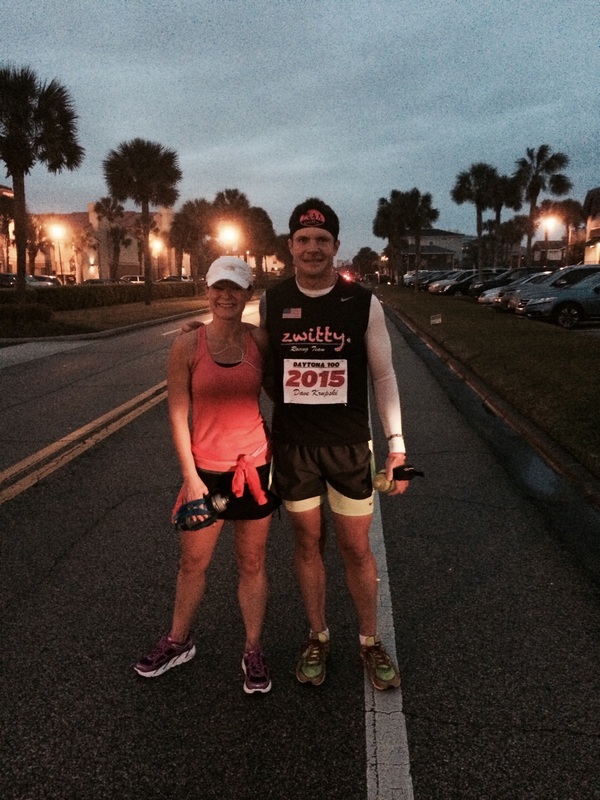 We ran through Jacksonville Beach, and ultimately reached Ponte Vedra by about Mile 6. 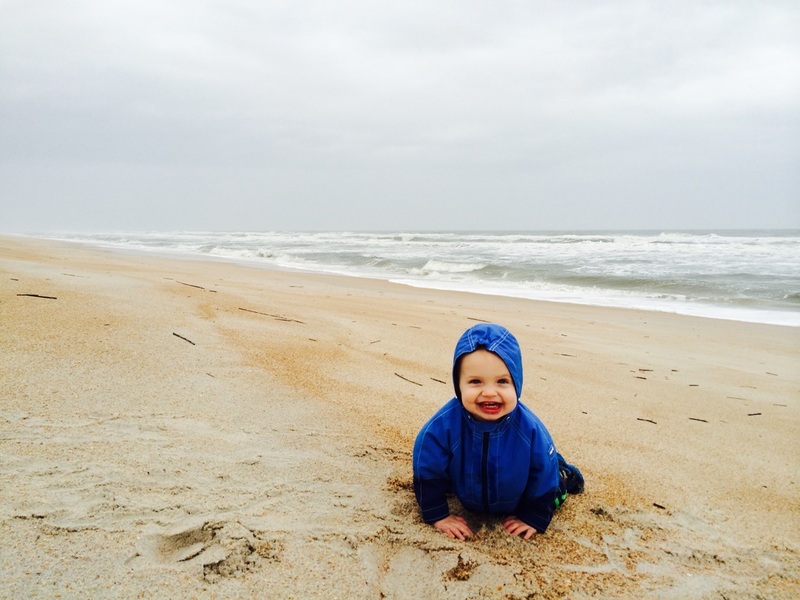 Witt is pretty-much the coolest, most-chill baby on the planet. And for those of you wondering, he is named after Mt. Whitney, the finish line of the Badwater 135! Regarding Bambi, she doesn't really have "gas"; she just was unfortunate enough to be sitting in a really squeaky chair overnight during an ultra this past December. And as anyone who has ever volunteered at an ultra during the overnight hours can attest, things can get pretty loopy out there! Okay, back to the report. The six or so miles through Ponte Vedra are pretty spectacular. You run right past several country clubs, homes that cost in excess of $10 million, and also right past the world-famous PGA at Sawgrass golf course. Through the whole stretch, you run undisturbed on a secluded sidewalk. The only people you may see are the uber-rich people walking their $8000 dogs and sipping their Hot Toddies! 2. (miles 12.7-30): "chariots of fire". 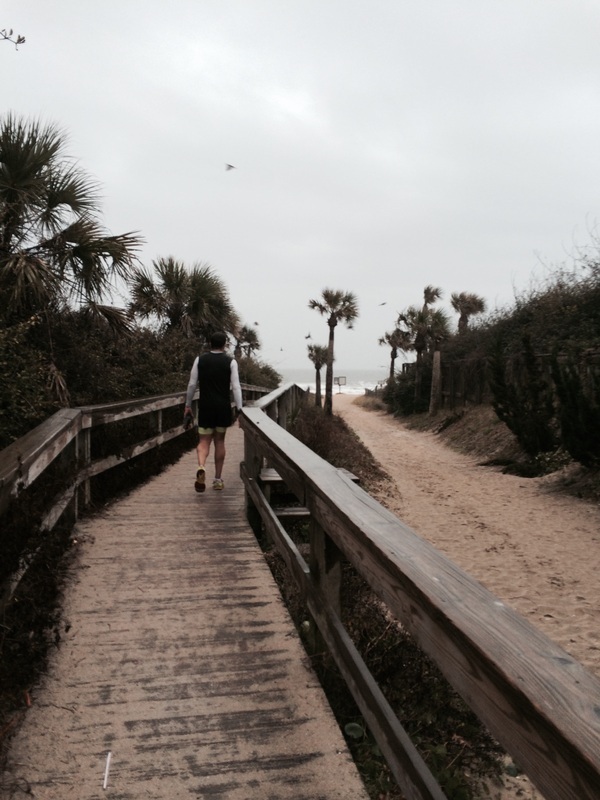 As soon as I stared running on this 17-mile stretch of beach from Mickler's Landing all the way down to Vilano Beach (right next to St. Augustine), I could not shake the enormous smile from my face. This section is unbelievable. As Alex put it during our run, this section is straight out of a movie. The beach is bronze-hued with a surface so sturdy you barely leave footprints. There is almost always a big tailwind. And in February -- as on race day in November -- we will have this pristine beach completely to ourselves. Just try and not start humming the "Chariots of Fire" theme song while you are running this section. I half-expected Harold Abrahams and Eric Liddell to run up beside me at any moment!! 3. (Miles 30-35): st. augustine﻿. 4. 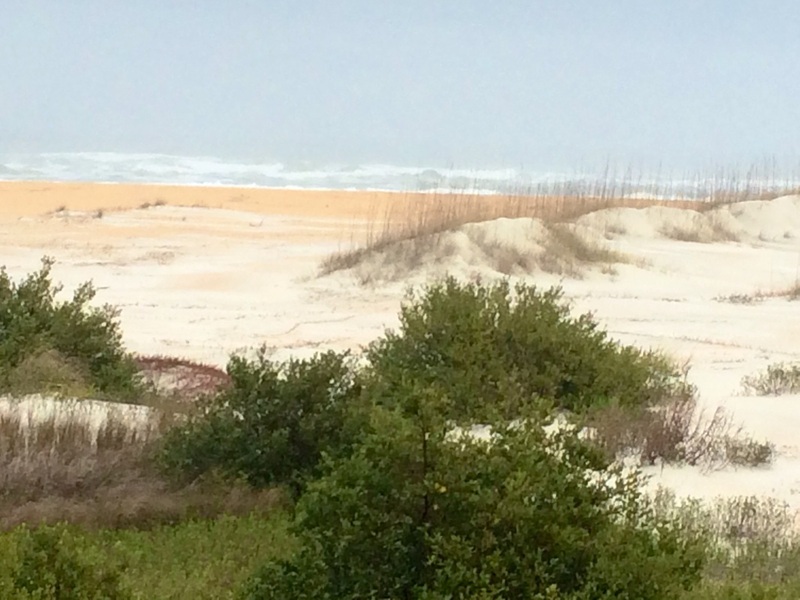 (Miles 36-68): St. Augustine beach to flagler beach. Here is how I really know that the DAYTONA 100 is a fast course: For me, Miles 40-70 are traditionally my worst in a 100-mile race. Even when I have really good races, I'm usually my slowest in this section. And given the amount of racing I did in the weeks leading up to my DAYTONA 100 run, I expected no different here. But that "low" period never came during this section. 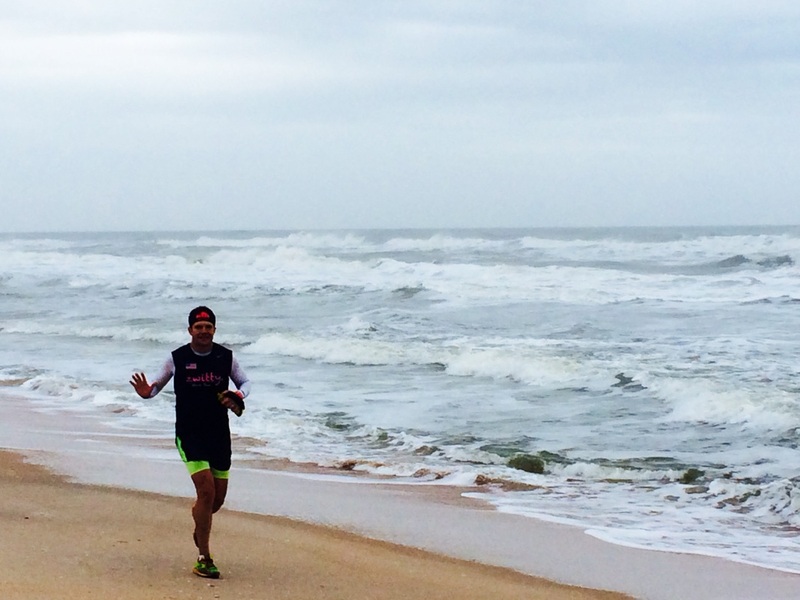 I maintained a good and constant pace all the way from St. Augustine into Flagler Beach. I hit the Mile 50 split in Marineland at exactly 8:55. This is a really nice, quiet section. 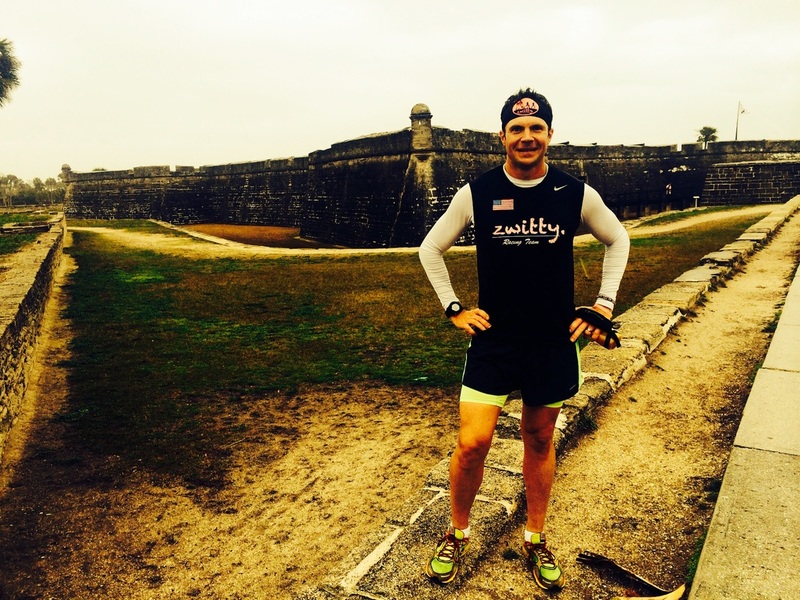 Runners will absolutely love Marineland (which hosts the DAYTONA 50 start line), as well as the Fort Matanzas National Park leading into Marineland. The views are incredible. The sidewalks and paved trails are ideal. Speaking of paved trails, about 20 miles of this section is run on the "Marineland to Flagler Beach Trail," a smooth and very wide paved trail that mirrors A1A but keeps you completely off the road for the duration of the trail into Flagler Beach. Speaking of course safety, the DAYTONA 100 is likely the safest long-distance road ultramarathon in the country. 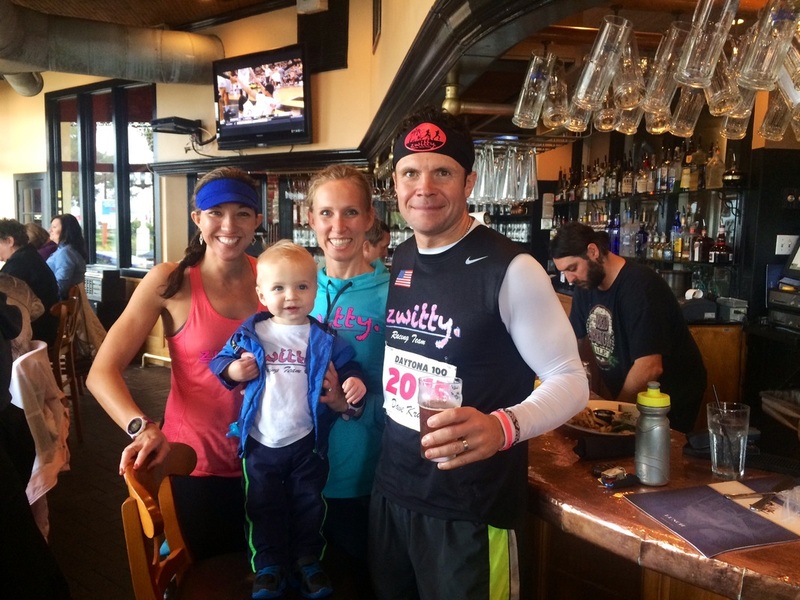 Of the course's 100 miles, over 95 miles are run on either sidewalks, paved trails, the beach itself, or on sleepy beachside streets with no traffic and speed limits of 15 or less. And for the DAYTONA 50, you do not share A1A with traffic for a single step of the course. (For the 100-miler, there are two small (1-2 miles each) sections where you are on a wide bike lane of A1A. But traffic does not travel quickly in these areas . . . the speed limit is 40 or under). So if you are a road runner who does not like dodging traffic, this is your race! 5. (Miles 69-93): entering volusiA COUNTY. Once you travel through Flagler Beach, you quickly hit Volusia County (the last county on your journey)! 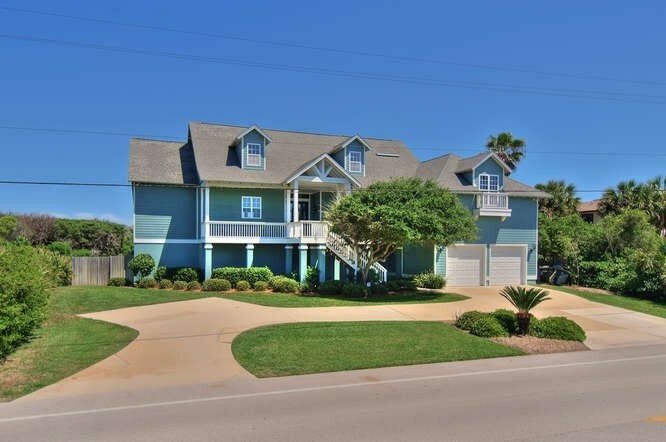 Within ten miles of sidewalk running -- mainly through a state preserve with dramatic ocean views -- you reach Ormond Beach (Rte. 40/Granada Blvd. ), and the entrance to the second beach section of the race (from Ormond Beach to Ponce Inlet). 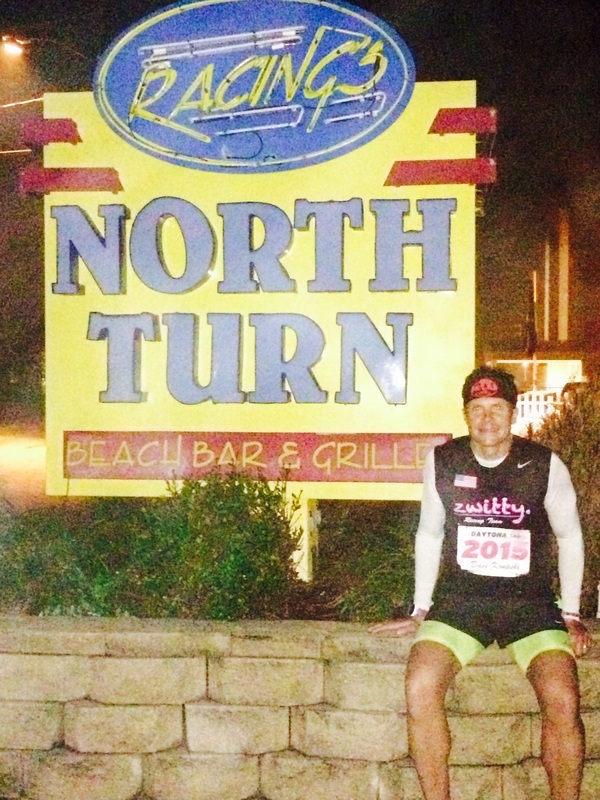 Most runners will hit the entrance to the beach at night, as I did on Saturday. But to give you an idea of just how great this beach is for running, below is a daytime pic as well. 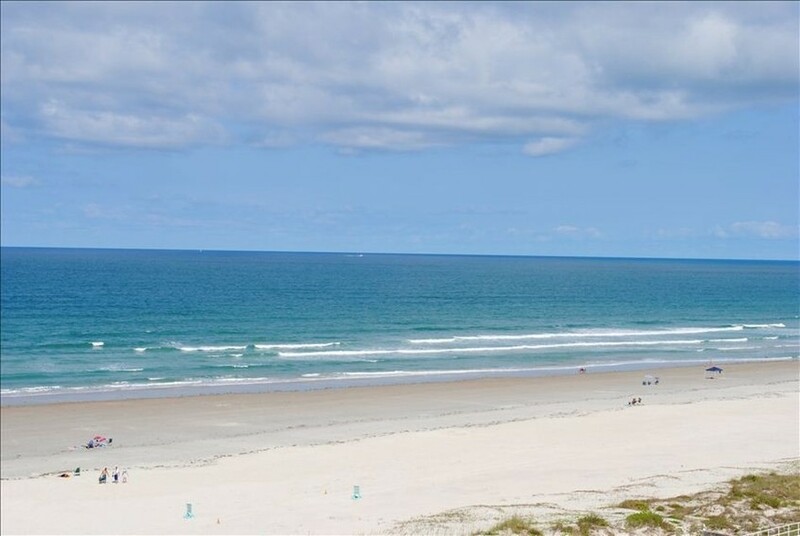 The Datyona-area beaches allow cars to drive on the beach in most areas (don't worry, there won't be any cars at night, and you will have the beach to yourself in November); that is how firm the beach surface is down in Volusia County! Once we were done with that 3-minute pit stop, I still had about 6 miles to go until we reached the end of the beach section and were in Ponce Inlet. During this time, Alex talked with multiple police officers who were very amazed at what was going on! 6. ﻿(Miles 94-100): bringing it home﻿. Less than a mile after you exit the beach, you are running on Peninsula Drive (a very quiet residential street) and you pass the Ponce Inlet sign. At this point, it is only a 10k to go until the finish line. For me, it was a really emotional moment to reach that Ponce Inlet sign. While I've run by it a gazillion times in the past, it was never with 94 miles on my legs already! I saw that sign, and thought, "I'm home now." 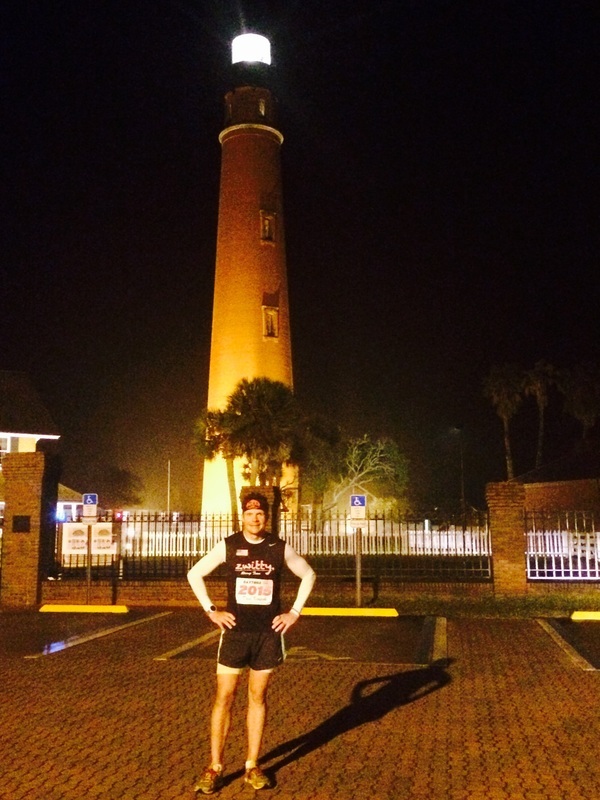 All that remained was the 3.5 mile jaunt up to the Ponce Inlet Lighthouse, and then the final 2.5 miles on the beach into the finish line!! After I made the turn, I knew that the final few miles on the beach would be brutal -- that tailwind I had for the whole race would now be a headwind -- but I did not care. I walked it in, "enjoyed" every step as much as possible, and crossed the finish line at 3:25 am (21:25 after departing from Atlantic Beach at 6am the day before!). I have now run 17 races of 100 miles or longer, and I can say -- without exaggeration -- that the DAYTONA 100 is one of the very top road ultras you will ever experience in your lives. Yes, as I said at the beginning, I know I am hugely-biased here. But in designing this race, I basically designed my "dream" race. 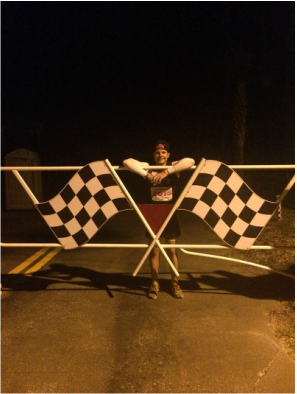 I wanted a race that was fast (and this course is crazy-fast), flat, scenic, safe, and perfect for people running their first 50- or 100-miler, for anyone trying for a PR, and for everyone in-between!! I know I will cherish and wear my DAYTONA 100 belt buckle with pride, and I bet after running the race, you will too!! We hope to see you here in our neck of the woods in November!! Race registration opens at 12:00 (noon, EST) -- sharp -- on Monday, March 9, 2015. As detailed on the front page of the website, the race is capped at 250 runners for the 100-miler and 150 runners for the 50-miler. The 100-miler is $200 and the 50-miler is $150. If/when we reach capacity in the races, we will create a wait list. Please contact us with any questions you have, and we cannot wait to see you on the course!! Welcome to the DAYTONA 100!! !